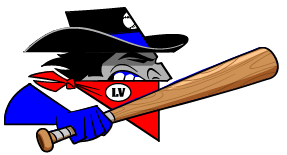 The Raton Osos (11-45) and the Las Vegas Train Robbers (34-22) both threatened with rallies, but it was the Raton Osos that eventually took advantage of them in an 8-7 win at Rodriguez Park. Wesley Jones did his best to jumpstart the offense for the Raton Osos, reaching base three times. He scored two runs and had one RBI. He doubled in the first inning and singled in the fifth inning. Ted LeMasters put himself in scoring position with two extra-base hits for the Las Vegas Train Robbers. He singled in the fourth inning and doubled in the second and fifth innings. Jessie Meier got the win, running his season record to 1-0. Meier struck out none, walked none and gave up one hit. Jimmy Jensen (3-1) was the games losing pitcher. He lasted just one inning, walked one, struck out one, and allowed three runs.